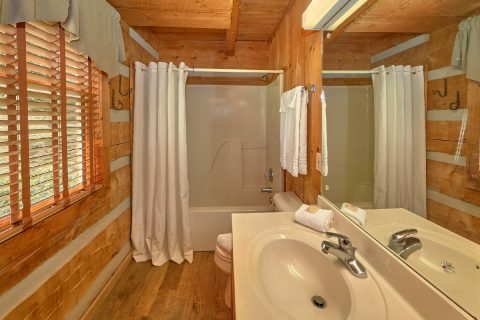 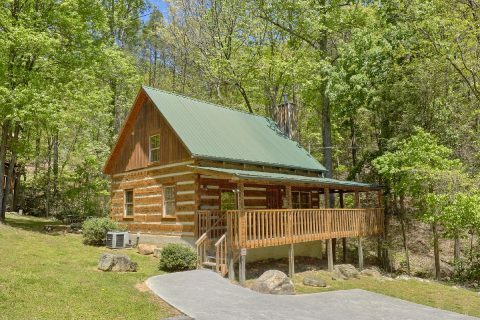 Nestled in a peaceful location in the mountains near a Smoky Mountain creek, you'll find "Turtle Dovin'," a lovely 1 bedroom cabin rental that sleeps up to 6 guests in comfort! 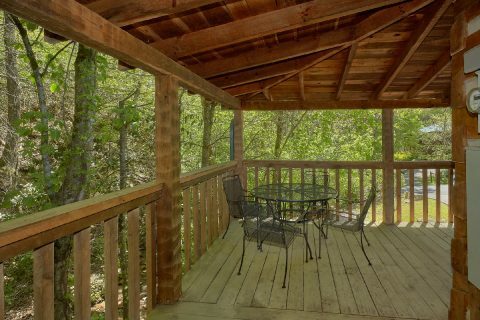 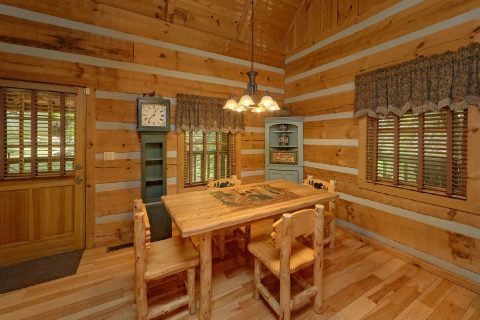 Not only does this cabin provide you with a scenic creekside location, but "Turtle Dovin'" rests only a 5.5-mile drive from Downtown Pigeon Forge, where you'll find dozens of shops, restaurants, and attractions to enjoy during your vacation. 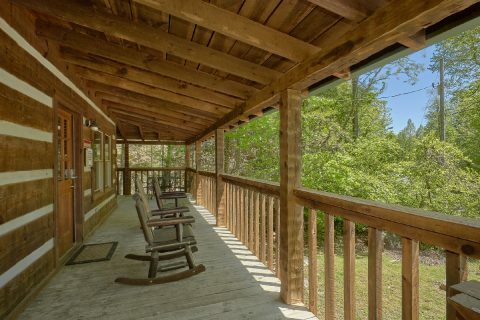 When you aren't busy riding roller coasters at Dollywood or enjoying scenic destinations like Cades Cove in the Great Smoky Mountains National Park, you'll love spending time at this cabin that's close to all the action. 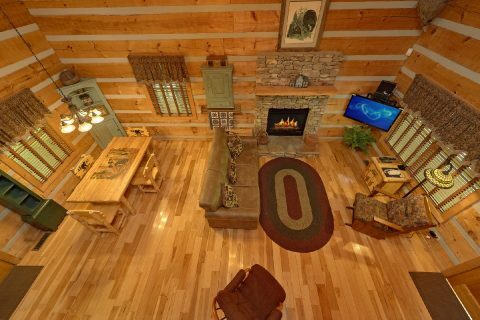 In this cabin's main level, you'll find a welcoming living room area complete with a gas fireplace. 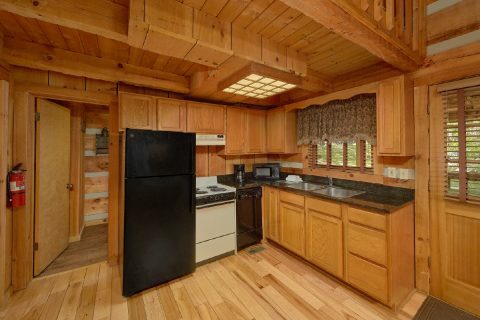 Nearby, there's a full kitchen and a dining area with a full-sized dining table. 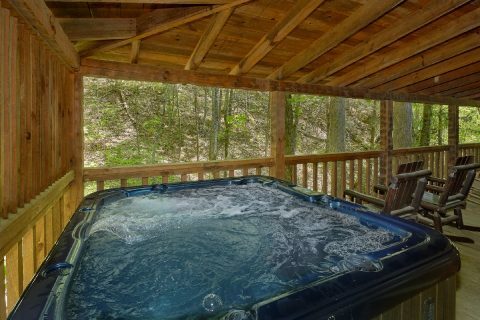 Outside on your cabin's deck, you can enjoy the fresh mountain air while you sit back in your cabin's hot tub. 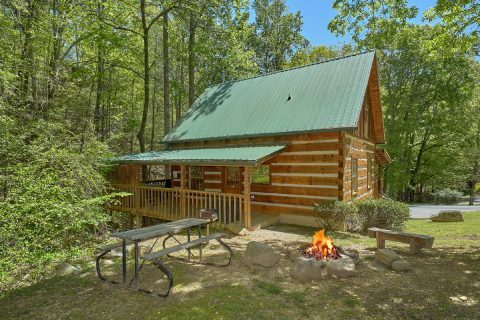 For even more relaxation in the great outdoors, you can step outside to your cabin's fire pit area that comes complete with a sitting bench, a picnic table, and a charcoal park grill to use during your stay. 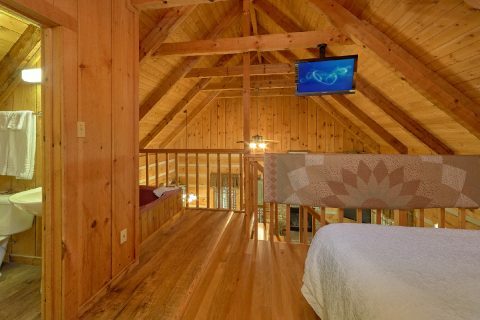 Once you're ready to get some rest on your vacation, you can look forward to sleeping in this cabin's queen-size bedroom on the main level. 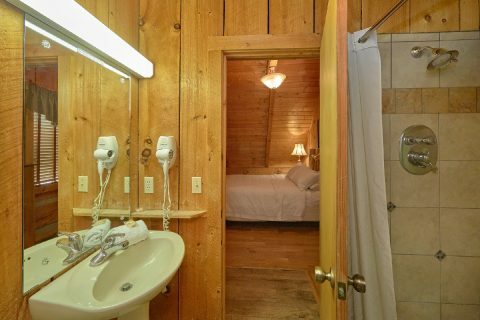 Nearby, there's a common full bathroom for getting ready in the morning. 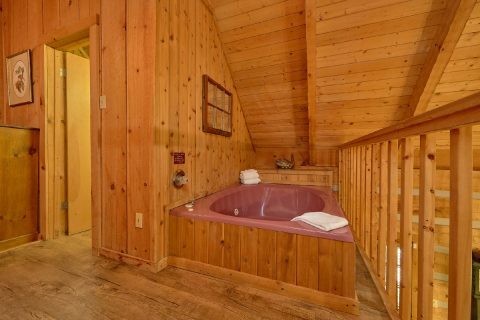 Upstairs in the loft, you'll find a full-sized bed, a television, a jacuzzi tub, and a full bathroom. 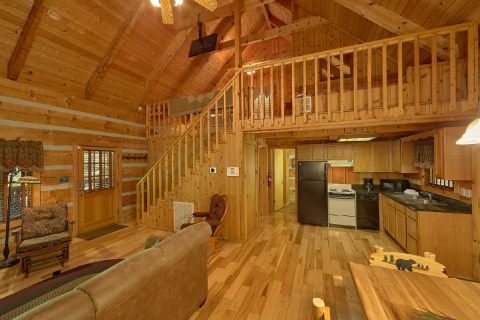 Lastly, this cabin's living room area provides a sleeper sofa, so "Turtle Dovin'" can sleep up to 6 guests comfortably. 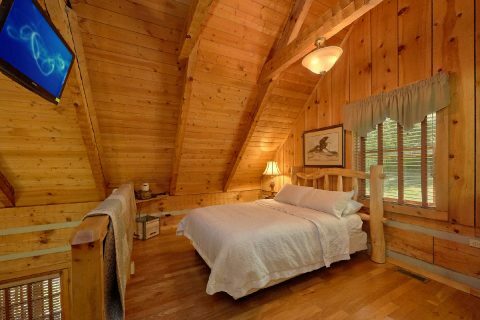 Need more comfortable sleeping space for your Smoky Mountain vacation? 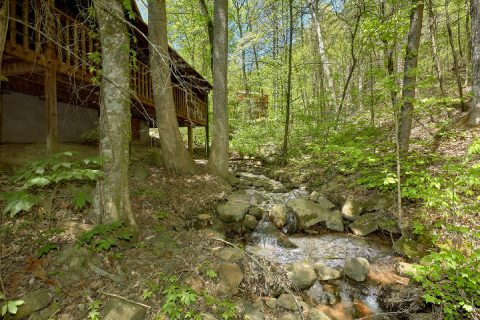 "Kicked Back Creekside" and "Cuddle Creek Cabin" are two nearby properties that can be booked alongside "Turtle Dovin'." 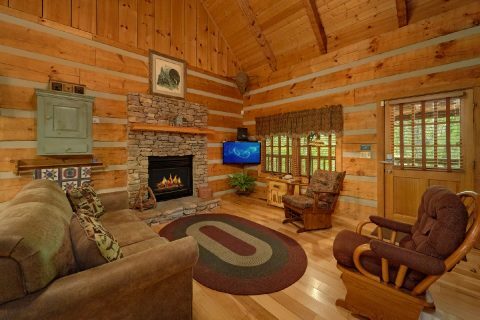 Please contact our reservations office if you're interested in reserving multiple cabins for your getaway to the Smokies! 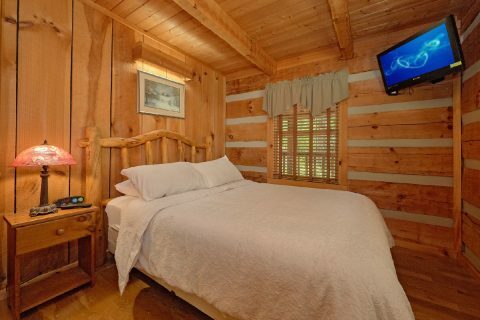 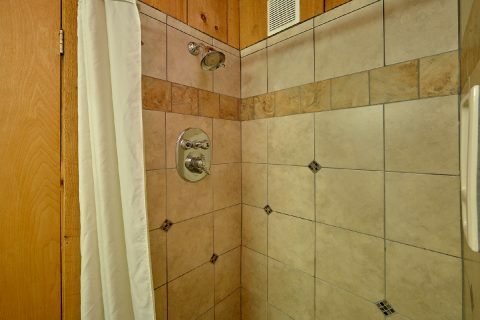 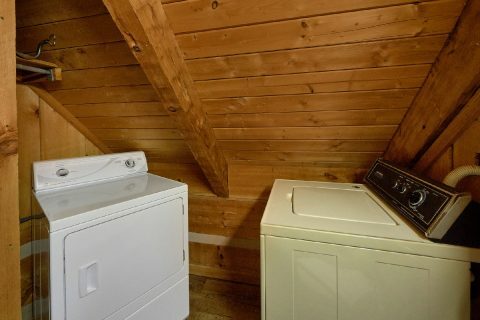 Lastly, this cabin comes with WiFi Internet and a washer & dryer for you to use during your stay. 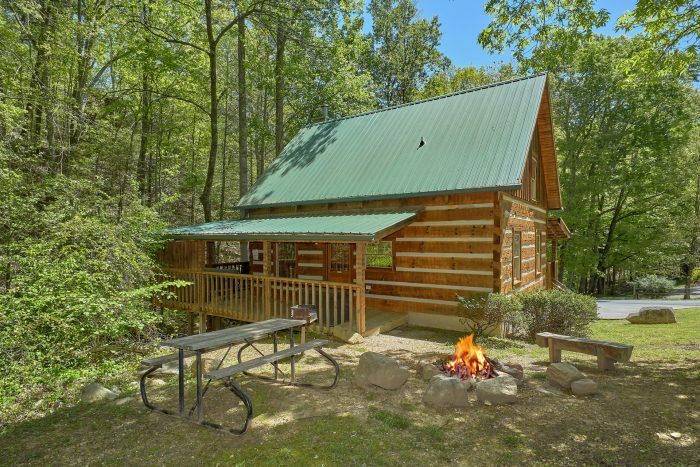 Best of all, "Turtle Dovin'" comes with a special 15% discount, so you can save big on your affordable cabin vacation in the Great Smoky Mountains near Pigeon Forge!